Starting a new business or maintaining one that is already established can be a daunting task. 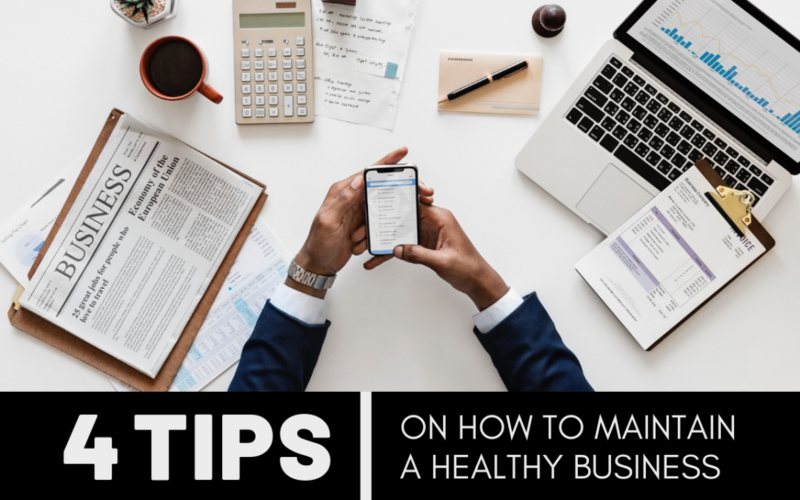 But there’s no need to fret, we’ve got you covered with some tips to keep your business effective and relevant in today’s growing industry! Healthy employees make for a healthy business. Making sure your staff is well taken care of will encourage productivity throughout the workplace. Productive employees will bring success to your business and help you achieve your business goals. Proper communication is a necessity in order for a professional team to work together efficiently. Everyone has their own unique perspective to bring to the table, and people are more inclined to share their ideas if they feel that they’re being heard and that their views and opinions matter. Opening the floor to insight on new ideas and topics is a great way to connect your team, all while building up the foundation of your business. Customers/clients are the key to keeping a business up and running. Without them, there isn’t any revenue, and without revenue, well…it’s kind of hard to run a business without any funds. It’s vital to make sure that the needs of your customer are met and that they are truly satisfied with the services provided. Time-management author Alan Lakein once said, “failing to plan is planning to fail.” Now those are some words to live by. Take time to plan ahead; it’ll save your business a whole lot of hassle down the road. Once your business is financially stable and all of your team players are onboard, it’s time to jump. Take up that new partnership, hire that grad student, invest in a new stock. Be bold, be smart. At Title Junction we care about helping you stay informed throughout your real estate transaction. Have questions? Give us a call at 239.415.6574. In case you missed it, check out our last Title Junction post: Can I Pay Off My Loan Early?